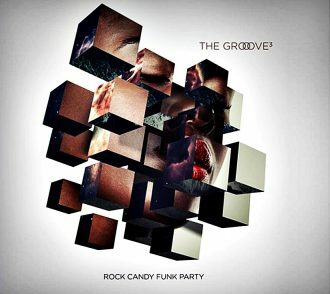 Groove Cubed, third studio album of the Rock Candy Funk Party band would be a way to understand the groove, this huge musical concept too often quoted without being defined ? The French literal translation of the word groove means : furrow bring the imagery language of jazz musicians speaks of a rhythmic «in the furrow» or «in the note» going up to «inspired music». The answer seems fast, so let’s see from the side of the music teachers : Richard Middleton, from the Newcastel University, the newspaper Popular Music founder and editor, describes the groove concept as the rhythmic flow produces by a sensation and a dynamic particular to a musical piece. Let’s see the side of the musicians : a fast-micro-sidewalk informs us that groove is not only for jazz and funk, although this term is widely used by these two artistic worlds. It is also used in Latin music under the term clave and in Middle Eastern music under the name of tarab, although its notion is more spiritual. But the groove would not induce a notion of trance? This dimension is confirmed by the response of an amateur in a jazz club telling me: «The groove is a magical state, it’s when it takes off and your foot moves and your whole body feels the rhythm. It does not deceive in concert, when it grooves, the spectators look at each other with a smile and a complicit look». The reading the press kit of the Groove Cubed album, explains us that the title means Groove to the Cube, three times the groove. Some information for those who do not know the Rock Candy Funk Party (RCFP) formation. The band was created in 2009 in Los Angeles by the drummer Tal Bergman and the guitarist Ron DeJesus. These two friends had already released Grooove, Vol. 1 in 2007. In RCFP, they are joined by the guitarist Joe Bonamassa, the bassist Mike Merritt and the keyboardist Renato Neto. Their first album is We Want Groove and their second one Groove is King. No doubt, the groove is their target, we hit the right door. Because in this album, the groove is housed in very different styles, the musicians of great talent of RCFP manage to make it feel in music genres rarely grouped on the same album. The album begins with a very rocky rock with «Gothic Orleans», then very dance with the singer of soul Ty Taylor in «Do not Even Try It» (track in free download on the web site of the group). When the revival of James Brown’s «I Got the Feelin» with Australian singer Mahalia Barnes, the very funky groove, elephant leg pants are ahead and let’s go to the Saturday night fever ! It is obvious that it is impossible to stay stuck to his seat, Groove Cubed’s groove leads into a universe, and everyone will discover the one that suits him best. Is it the rhythmic virtuoso Bregman of «Mr. Funkadamus Returns and He Is Mad» which lights your groove or the guitar of Joe Bonamassa which converses with the partner of Prince Renato Neto with the keyboards on «Ping Pong» ? To know what groove you are, it’s simple, listen to the album and be vigilant ; when your foot starts to beat, the groove is there and comes into you. Good tasting and good trip. Line Up : Tal Bergman : producer and drums – Joe Bonamassa : guitar – Ron DeJesus : guitar – Mike Merritt : bass – Renato Neto : keyboards – Ty Taylor : vocals- Mahalia Barnes : vocals.